Sewer inspection and location is important for a variety of reasons. Whether you’re buying a new home or just have slow drainage, you need to know if your sewer lines are functioning as they should, and you need to know how to fix the problem if they aren’t. 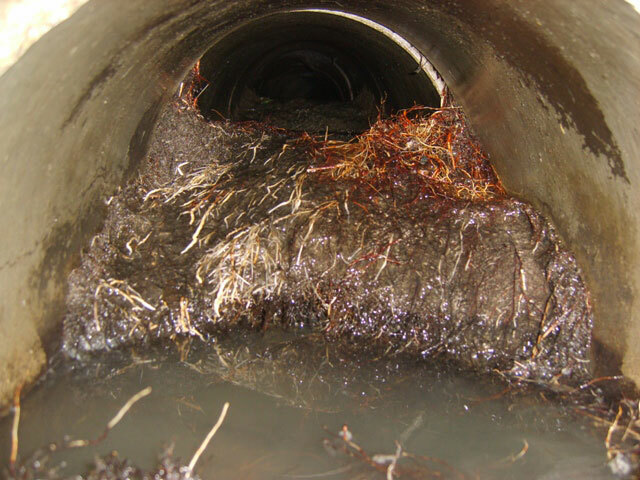 Broken, blocked, or root-infested sewer lines can cause sewage back-ups into a building, whether it’s a home or commercial space. The Underground Detective has current technology that can help you diagnose your sewer line issues before they result in a full-on sewer back-up. Root-infested sewer lines aren’t just a hassle; they’re incredibly expensive if they aren’t addressed. The Underground Detective has a quick and simple solution for roots that are taking over your sewers. We are a registered dealer for the foaming, root destroying product ROOTX, which can be used to clear out your pipes and keep them from becoming infested again. Please see the ROOTX website for more specific information about how the product works. The Underground Detective uses small diameter inspection cameras and locating sondes—a type of beacon that transmits information on its location automatically—to view, record, and locate problems in sanitary and storm sewers, conduits, and any other inaccessible places. Using our state-of-the-art technology, we guarantee you pinpoint accuracy. With specialized inspection cameras, we can inspect and locate pipes as small as one inch and to depths of up to sixty feet. We also have the ability to give you a DVD of the project on the spot, along with a report of what was found. Don’t let a faulty sewer add to the expense or ruin the excitement of your new home! As part of your home or building inspection, have the sewer inspected for roots, blockages, and breaks that could cost thousands to repair or replace. It’s better to know about these types of issues in the beginning, rather than be surprised with them after the sale! Are you ready to set up an appointment for your sewer inspection and location?